The seven or eight major issues that were pending are resolved in the negotiations between Greece and creditors and only minor issues remain, a government source told the Athens News Agency on Thursday. Talks to complete the second review of the bailout program continue in Athens between the Greek government, the European institutions and the International Monetary Fund. So far, the Greek side has been blaming the IMF for delaying negotiations by putting irrational demands on the table. However, it seems that the Fund has been more lenient as talks progress. “I do not have the impression that the Fund has come to the negotiations in order to delay and I do not think these issues can stop the completion of the agreement,” the source told ANA. 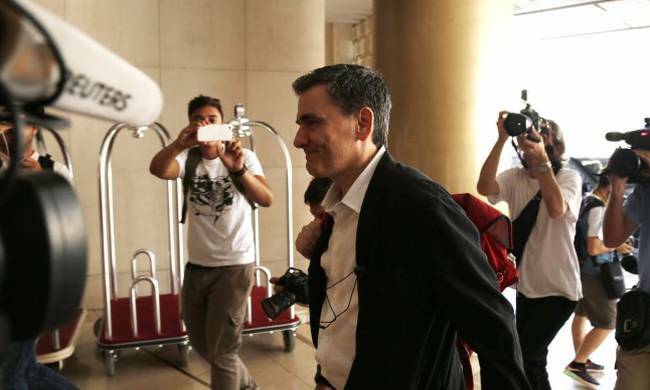 Finance Minister Euclid Tsakalotos, Labor Minister Efi Achtsioglou and Alternate Finance Minister Giorgos Chouliarakis negotiated with the heads of missions for one hour and a half. The issues discussed were privatizations, labor law reforms. According to the government official, on Friday the two sides will discuss four draft documents: the MoU with the European institutions, the Memorandum of Economic and Financial Policies with the IMF and two corresponding technical agreements. These documents should first be “cleared” at a staff level so only the basic issues are discussed at a senior level. The aim is to have completed the entire process by next Sunday, the official said.